With the cool temps lately, it seriously feels like fall is right around the corner. I am so not ready to say goodbye just yet…but I am always in the mood to shop for new. So today I am sharing some favorites for the fall. 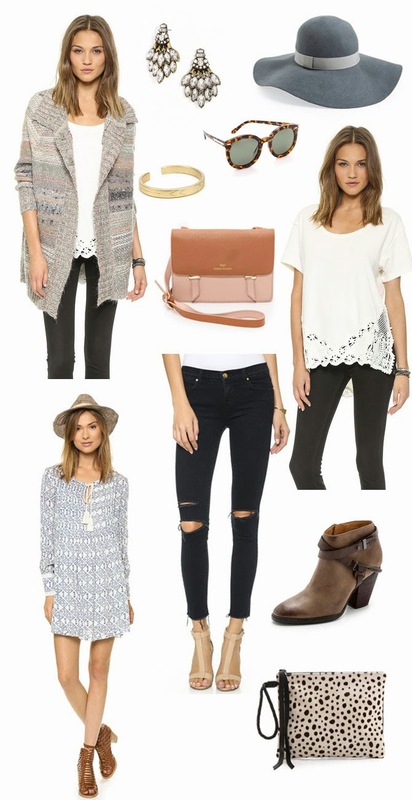 What are you looking to add to your closet this fall? Share with me on instagram by tagging my handle @cellajaneblog! Great picks! I love the distressed black skinnies and that hat! I need to get a hat for fall! Love these pics! Been looking for some good black distressed denim for fall! Yes and amen… Love these! Especially those booties!